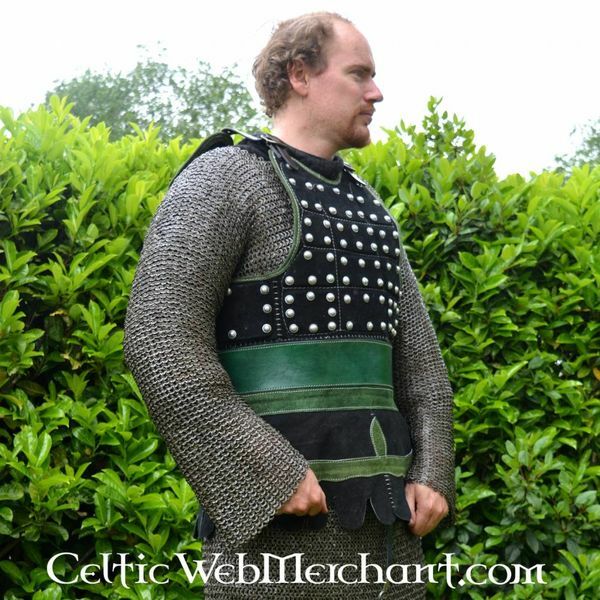 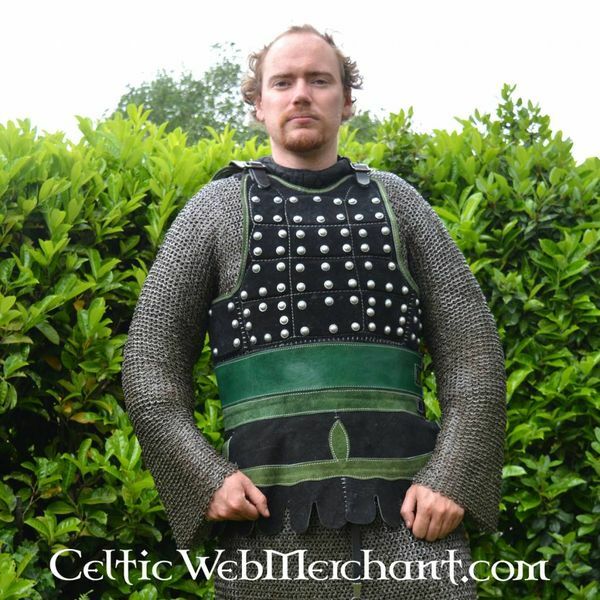 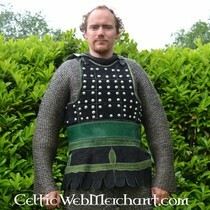 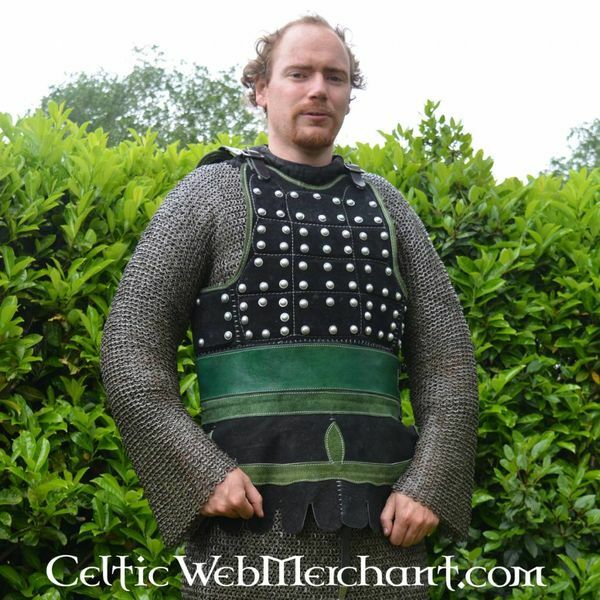 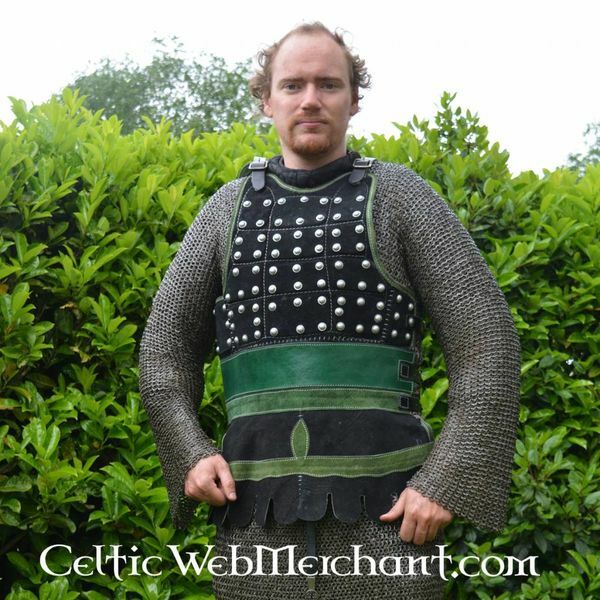 This brigandine is made after several 15th century models. 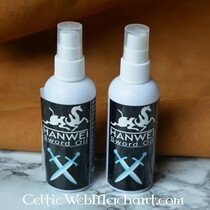 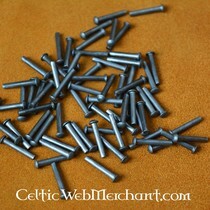 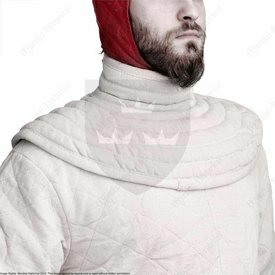 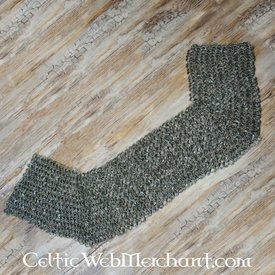 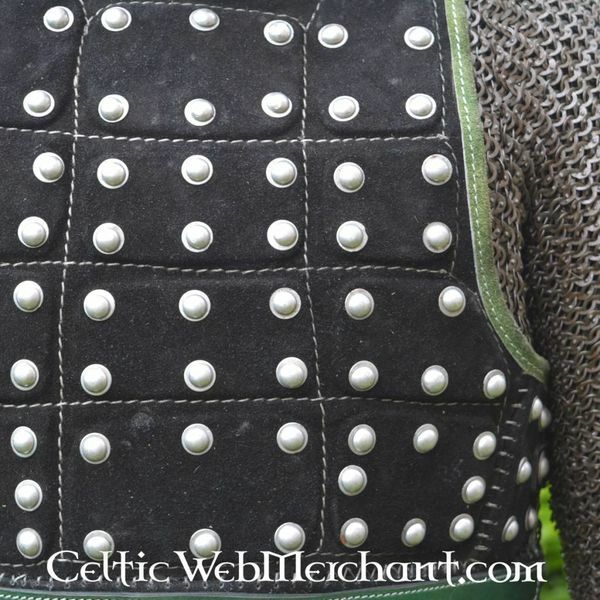 It was mainly worn over the hauberk or gambeson. 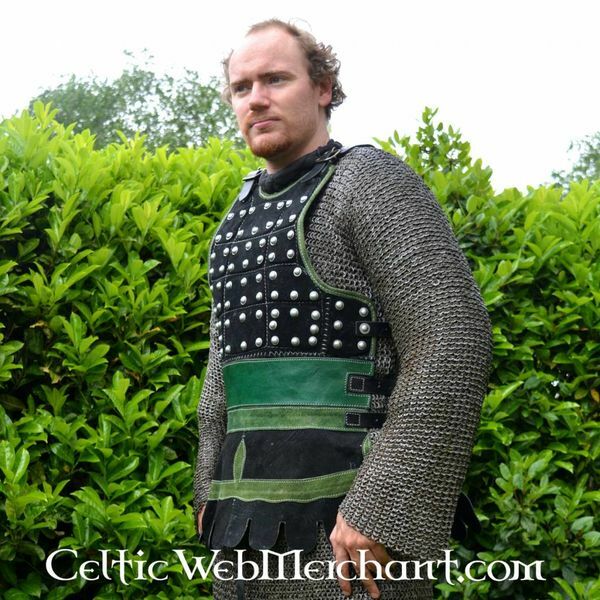 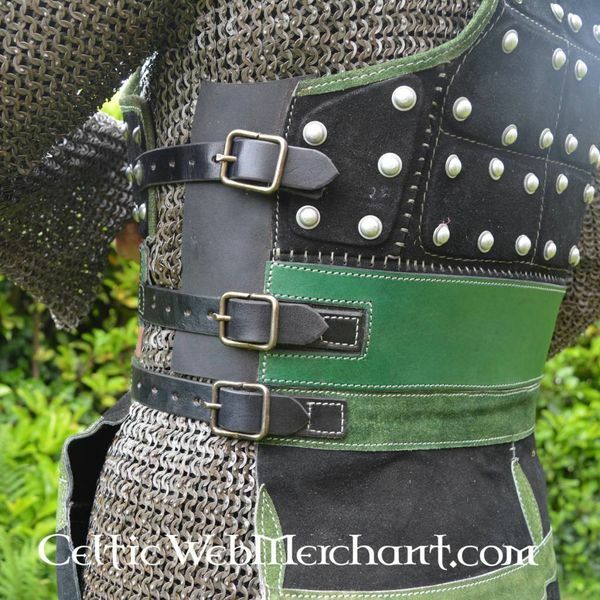 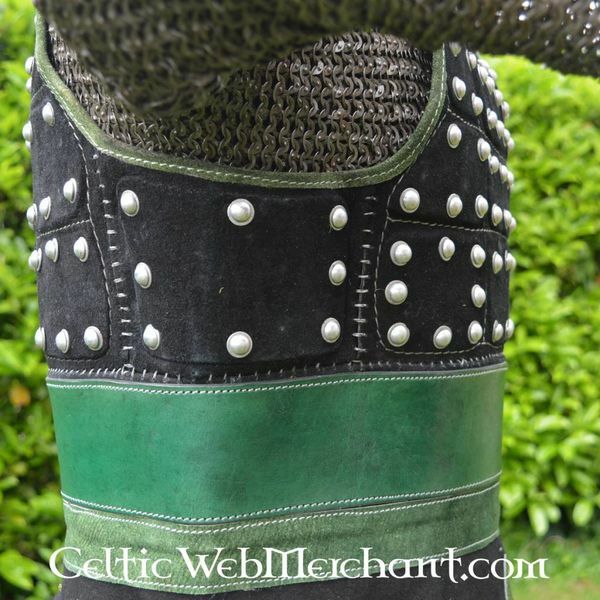 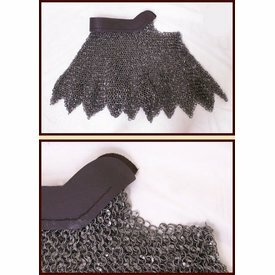 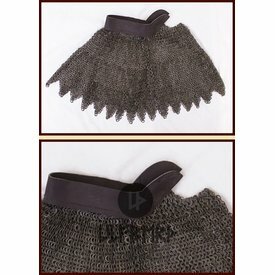 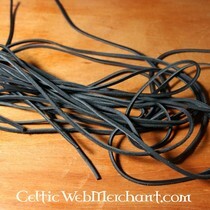 This brigandine is made of 1,3 mm thick black cowhide.